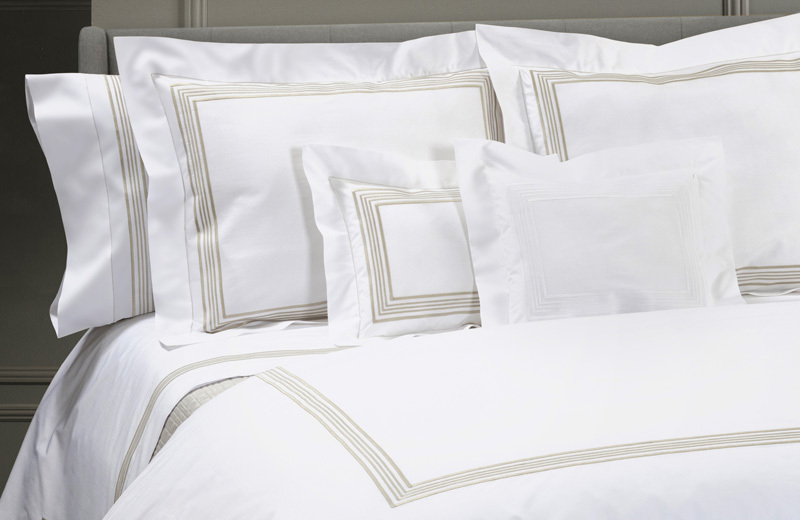 Just in time for the holidays, DEA is proud to announce its new Stock Collection of luxury linens: classic designs that are the perfect complement for your bedroom. See the beauty and comfort for yourself. We’ve opened the collection with eight stylish designs for the bedroom, featuring sheets, duvet covers and matching shams: Monica, New York, Mimosa, Palm Beach, Rinascimento, Susana, Tevere and Vento. Each of these is made either from our crisp long-staple cotton percale or silky smooth sateen and available with embroidery colors such as white, ivory, gray and blue (customized colors may be special-ordered for you as well). Whether you are looking to spruce up a room in your home before the holidays or just to treat yourself to a lovely gift, the Stock Collection is the perfect place to begin your search for luxury and comfort.